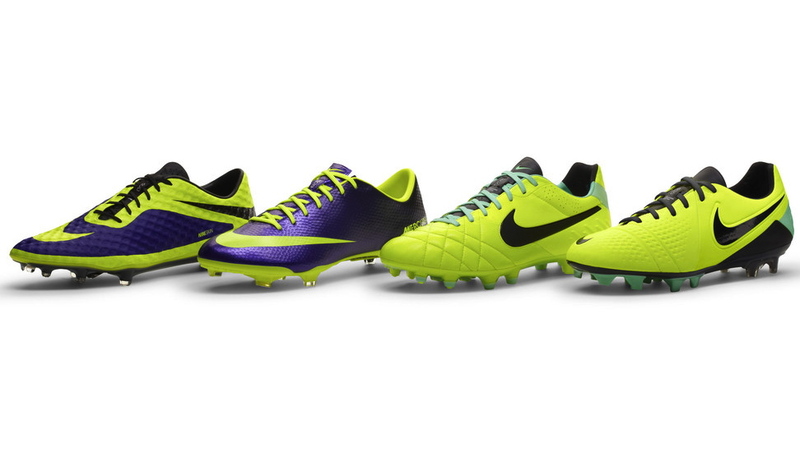 Nike Soccer readies for winter with the new 'High Visibility' Collection, featuring four bright colorways crafted for dark match-day conditions. 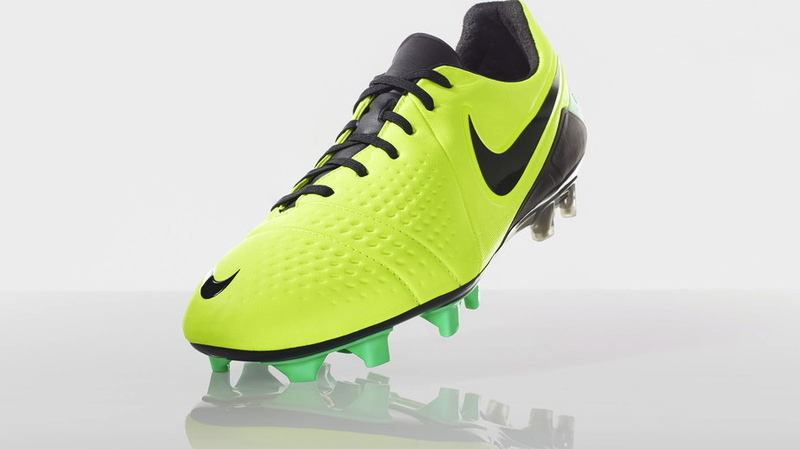 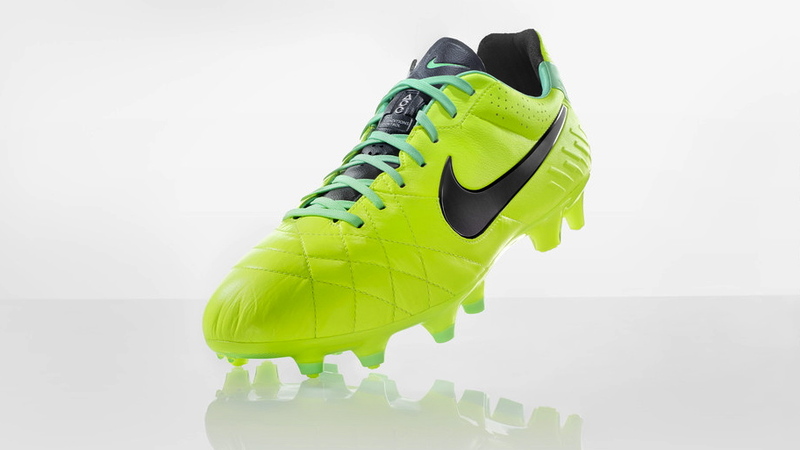 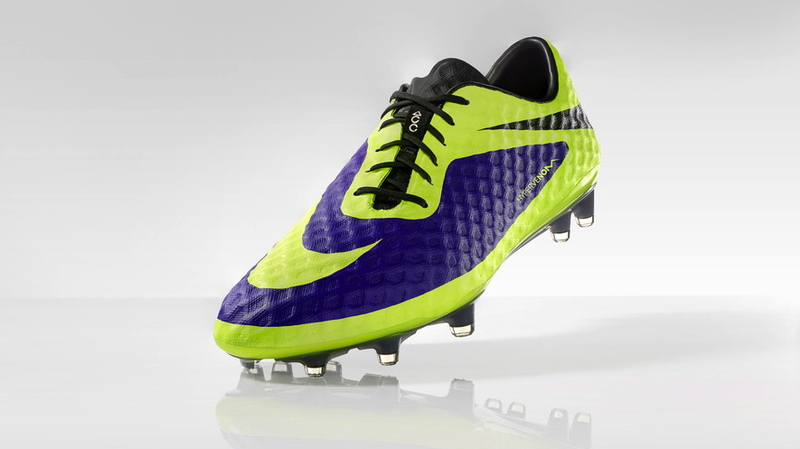 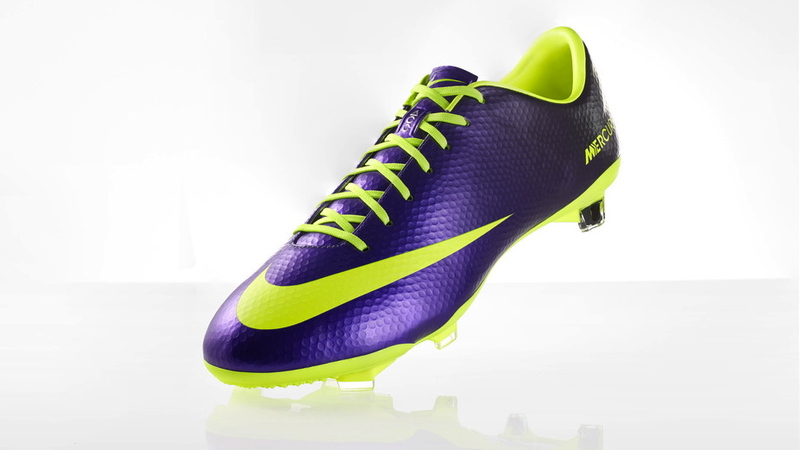 The collection includes special colorways of the Hypervenom, Mercurial IX, CTR360 and Tiempo IV, each arriving in eye-catching combinations of Electric Purple, Volt, Green Glow and Electric Green. 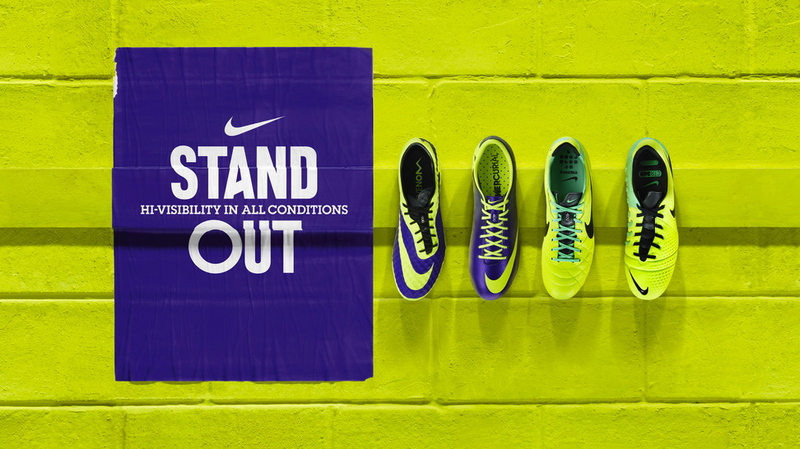 Look for the 'High Visibility' Collection in the coming weeks at Nike.com.